Oftentimes, the most difficult part of fixing and flipping a home is finding a buyer willing to pay your asking price. In some deals, investors wind up content with someone that offers enough for them to just break even. If you want to maximize profits through real estate investing, it’s important to find top-paying buyers for your homes in as little time as possible. With a fix and flip strategy, this usually means making properties much more attractive to potential buyers. The fastest way to lose a potential buyer is to have them drive right by your property without even stopping. Sadly, this happens more often than it needs to for some investors. While these missed opportunities could be the result of a number of factors, more often than not it’s because of the property’s curb appeal. Improving the exterior of a home is one of the best fixes you can make. Many of the best deals wind up purchased by investors simply because they’re “ugly houses.” These properties often need little more done than beautification and can generate huge returns. If you underestimate the value of a visually aesthetic property, you’re making a big mistake. Making exterior improvements is not just for getting buyers to stop. It will also get them in a more open and receptive mood when viewing the inside of the property. Just like it’s important to make a good first impression with an attractive exterior, so is following it up with a maintained interior. The inside of your fix and flip property is what is really going to drive home the sale. With access to a seemingly infinite amount of information on the internet, most buyers already have a lot of background data before touring a home. They know when it was built, they know the assortment of rooms, they know how many square feet it has and they normally know that the price fits within or close to their budget. They’ve probably also seen the inside of the home through pictures and videos. What they can’t tell from browsing the web is how they’re going to react to the details of the home in person. This is why creating an attractive interior is just as important as spruce up the outside. A home’s interior is often the last line of resistance from someone considering making an offer. 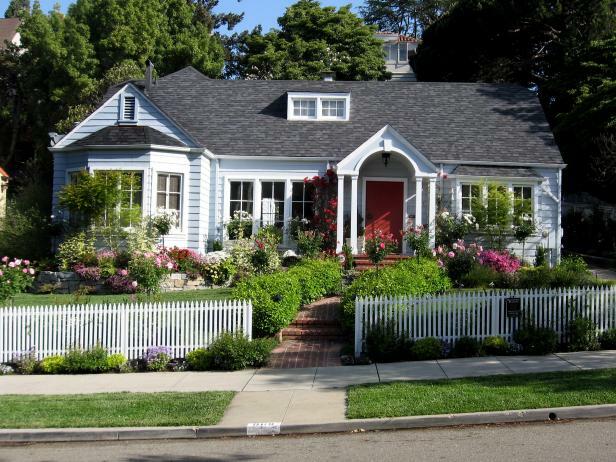 Your home’s exterior should peak buyers’ interest, and your interior should exceed their expectations. The best way to find out exactly what buyers are looking for in your home is to ask them. Try getting feedback from everyone who views your fix and flip properties. This allows you to bring in fresh sets of eyes to notice things that you may be overlooking. Sometimes it’s just a small detail holding you back from selling a property. Plus, by asking for feedback, you can isolate any specific objections they a potential buyer has. This can be a negotiating tool for making a sale. Say, for example, that a buyer tells you their main issue is that they didn’t like having carpet in the living room. Ask them if they would be willing to make an offer if you agreed to replace it with tile. In the scheme of things, this may be a minor cost to close a sale – especially when considering the holding costs of fix and flips. Making aesthetic improvements to the interior and exterior of your fix and flip investment will help you land a buyer. Not only will offers come in sooner, but they’ll also come in higher. While major repairs and enhancements are commonly part of flipping a home, increases in attractiveness often offer the largest ROI of all. Be the first to comment on "How To Create a Visually Attractive Fix and Flip Property For Quick Resale"